Arsenal Heavy Duty Floor Cleaner is a concentrated, multipurpose cleaner formulated to efficiently remove a wide variety of dirt, grime, and grease. It can be used for cleaning any hard surface not damaged by water, including resilient tile, concrete, paver brick, and quarry tile. Heavy Duty Floor Cleaner has an efficient wetting action with penetrating detergents that lift and dissolve dirt, grime, and grease without dulling the shine. 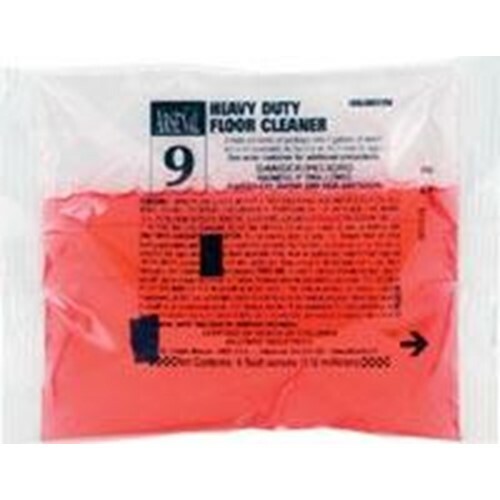 It may be applied with a mop or used in an auto-scrubber for heavy scrubbing and recoating of floor seals and polishes. Heavy Duty Floor Cleaner is phosphate free and contains no soap, free alkali, or ammonia. Its deep-cleaning formula has a fresh, clean fragrance for pleasant use, and is classified by Underwriters Laboratories, Inc.(r), as to slip resistance, 186S. Lifts dirt and grime without dulling the shine. Contains no soap, phosphates, free alkali, or ammonia. Fresh, clean fragrance is pleasant to use.